The YI Home Camera Wireless IP Security Surveillance System is an indoor camera. Many buy a home security camera to monitor the action outside their home through a window. Like most home security cameras, the default options will detrimentally affect picture quality through a window. That’s especially true at night. We’re going to show you how to most effectively use your Yi Home Camera through a window. 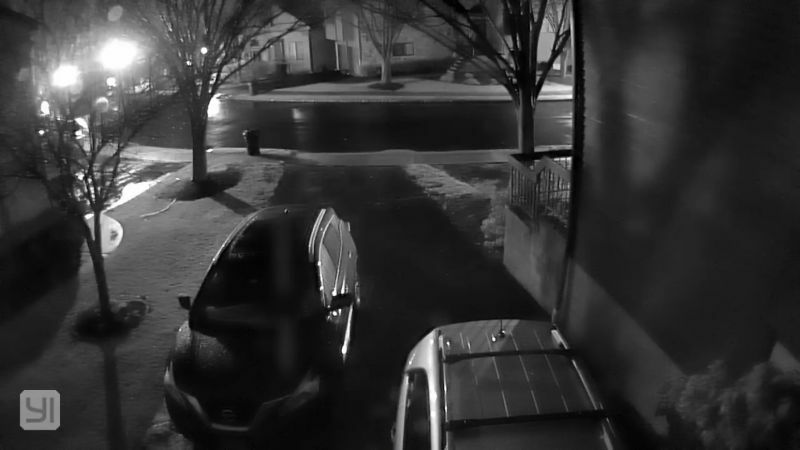 I’m currently using a Yi Home Camera through a window in the front of my home in New Jersey. I discovered almost immediately the default settings aren’t going to work well, especially at night. There isn’t much advice available on how to do this and I learned this by experimenting. So I’m sharing my experience on how to use a Yi Home Camera through a window. Glare is a major problem when using a Yi Home Camera through a window. Nothing worse than seeing a reflection of your own camera. It will especially be the case when the sun is facing the front of the camera. If you think the daytime image is bad, just wait until the sun goes down. You get to see an even crisper image of the camera itself, unless you have night vision activated in which case you get to see the infrared lights. We need to change some settings and placement. That’s what we will cover in the remainder of this article. Place the camera directly against the window. Not just close but directly against the glass. Anything less will result in a mirror image of the camera. For night use, the room where the camera lives needs to be dark. Lights will result in a halo effect around the camera. You can potentially minimize the effects of room light by closing any curtains or shades when the light is on. If there is a window ledge, place the Yi Home Camera elevated on a small stand so that you can get it flush with the window. Turn off that status light. Nothing worse than a small bright green light reflecting in the window. You will know the camera is working by accessing the app. No need for that status light to be on. Click on the settings button then the Settings selection within the menu. Now click on Status Light to turn it off. Easy. The Yi Home Camera has eight infrared (IR) lamps that activate when the Night Vision option is active. These IR lights interfere when pointing your Yi Home Camera through a window. Keeping these lights on gives you an excellent reflection of them when using the Yi Home Camera through a window. Turn them off. Click on the settings button then the Settings selection within the menu. Now click on Night Vision IR Light to turn them off. You will see a remarkable improvement. No more glare and the image that you see should come fairly close to what you would see if standing in front of that window. The Univivi IR Illuminator 90 Degree Wide Angle 8-Leds IR Infrared Light is a good external source for use through a window or placed outside the home. This one comes with an AC cable which for whatever reason isn’t always included. If your outdoor scene is very dimly lit, this might be a good addition. The photo that accompanies this article is using my Yi Home Camera through a front window at my New Jersey home. No external IR lights. This was taken on a rainy night in January using the high resolution setting. It’s been an icky few days as you can see some snow in the screen shot. I think it looks pretty good. All the tips that were discussed in this article were implemented in the view from the Yi Home Camera though a window.